Author Christy Stillwell, whose recently released novel is The Wolf Tone, which won the Elixir Press Fiction Prize in 2017. 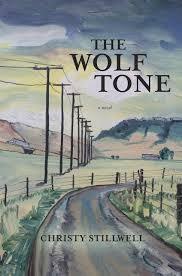 This Week's Write the Book Prompt was generously suggested by my guest, Christy Stillwell. In reading Warlight, a novel by Michael Ondaatje, Christy noticed the way the author was able to use his knowledge of navigation to create haunting and vivid scenes around barges and river work near London. She set herself the task of developing some area about which she has interest and some knowledge, and learning more in order to be able to do what she felt Ondaatje had done: turn his knowledge into haunting, recurring scenes. In order to do this well, some research might be necessary. In Christy's case, the subject matter turned to haying: the growing, baling and cutting of hay. This has always fascinated her, though she doesn't do this work herself. But she enjoys watching the swathers cut the hay, and seeing the people and machines working in the fields. Christy says her interest might have been even simpler: trimming hedges or mowing the lawn. So - what subject interests you, something you know well enough that you could sit and write two-to-three pages about it, and then file those pages away to perhaps use someday when your work will benefit from a lyrical moment? Interview from the archives with Canadian Author Douglas Glover. 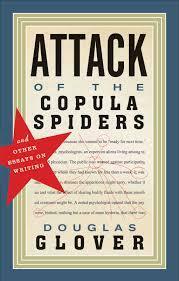 We discussed his book of craft essays, Attack of the Copula Spiders (Biblioasis). Point of view is the mental modus operandi of the person who is telling or experiencing the story--most often this is the protagonist. This mental modus operandi is located in a fairly simple construct involving desire, significant history and language overlay. The writer generally tries to announce the desire, goal or need of the primary character as quickly as possible. the key here is to make this desire concrete and simple. This week’s Write the Book Prompt is to look at the point of view in what you are working on and ask yourself: is this character’s desire clear? Is it concrete and simple? Do I introduce it quickly enough? How might I improve on the early presentation of my point of view character? 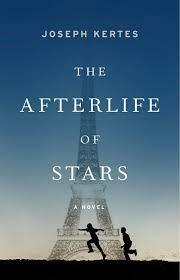 A conversation with the author Joseph Kertes about his novel, The Afterlife of Stars (Little Brown). This week's Write the Book Prompt is to write about a mis-delivered Valentine. 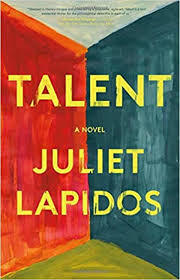 Senior Editor at the Atlantic and American Author Juliet Lapidos, whose debut novel is Talent (Little Brown). This week’s Write the Book Prompt is to take a familiar theme and try to turn it sideways so a reader might see something new. 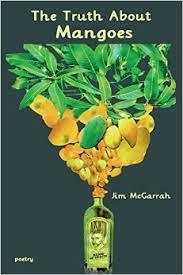 Interview from the archives with award-winning Poet and Essayist Jim McGarrah, about his collection The Truth About Mangoes (Lamar University Press). Thanks to Jim's title, The Truth About Mangoes, and to the fact that there's a lot in the news about what is true and what is false, this week's Write the Book Prompt is to write a poem, story, scene, or essay about a truth being seen differently from two or more perspectives. 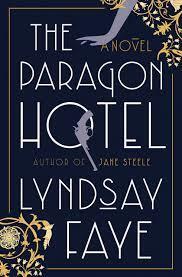 Author Lyndsay Faye, whose new novel is The Paragon Hotel (G.P. Putnam's Sons). This week's Write the Book Prompt is to put a character on a train and see where she goes.